Satellite tournaments give players the chance to play in a tournament that is above the constraints of their bankroll. Satellites, especially online ones, can help you build a bankroll more quickly than in multi-table tournaments. Satellite tournaments are big business. Ever since Chris Moneymaker won his way to the 2003 World Series of Poker Main Event via a satellite on PokerStars and then went on to win the Main Event for a cool $2.5 million, satellite tournaments have become one of the most popular poker tournament formats offered by online poker sites. While satellite tournaments give players the chance to play in a tournament that is above the constraints of their bankroll, they can also be used for another purpose — building your bankroll and often building it more quickly than can be done playing in standard multi-table tournaments. How? Because many sites allow players to unregister from the tournament they have won a ticket to and have the buy-in for that tournament added to their balance, usually in the form of tournament dollars. Tournament dollars are not actual cash, but instead they can be used to buy into other tournaments on the site. It is possible to sell these tournament dollars (or “T$”) to other players, usually for between 95-98% of their value if you wish. This is the route I take once I have accumulated enough to make it worthwhile for the buyer and me as a seller. Before you log onto your favorite site, register for several satellites, and attempt to grind your way to victory, here are a few pointers to worth considering, mainly because satellite tournaments often play differently than a standard tournament and not all satellites are created equal. The three most common satellites types that you will find online are (1) the traditional satellite, (2) the winner-takes-all satellite, and (3) steps satellites. We will take a look at all three formats. Traditional satellites – These satellites look like your typical poker tournament. They have a start time, usually some sort of guarantee, and will award a number of tickets based on the number of entrants. For example, there may be a satellite that guarantees five seats to the $215 buy-in Sunday Million at PokerStars. In this tournament, the player finishing in fifth place receives the same prize as the player who finishes first. Winner-takes-all satellites – As the name suggests, only the winner of the satellite wins a ticket. This is common for single-table satellites or if there is a large prize on offer for a relatively low buy-in. Steps satellites – These are a series of single-table tournaments where you win entry to another tournament the next step up. There are usually five or six steps in the tourney sequence, each with a more substantial buy-in. In steps satellites, it is common practice for the winner to be awarded a ticket to the next step and also those who finish in second or third to be given a ticket to try their luck once more at the same step. Once higher steps are reached, those finishing outside the top couple of places sometimes receive a ticket to a lower step, which makes steps tournaments ideal for those on a smaller bankroll because it is possible to make a low buy-in last a long time as you step up and down the levels. The major difference between satellite strategy and a standard tournament’s strategy is the former is all about survival, while the latter is all about accumulating chips. There is obviously more to it than that, but a lot of the strategic differences stem from this survival-versus-accumulation difference. Whereas in a standard tournament the major prizes are often reserved for the top three finishers, with first place much more substantial than, say, ninth, in a satellite tournament everyone who finishes “in the money” receives the same prize so there is no incentive to come first. Rather, you simply need to have a single chip in you stack when the prizes are awarded. This means, for example, you should often turn down small edges in satellite tournaments so you can preserve your precious chips. Meanwhile in a winner-takes-all satellite, the exact opposite is true because you have to go all out to win — otherwise you receive nothing for your time and effort. As mentioned earlier, not all satellites are created equal and some are much softer — easier to win — than others, especially at different times of the day and during certain times of the year. Here are a few hints and tips for you to consider when you’re thinking of playing in some satellite tournaments. Lower buy-in satellites are frequented by recreational players hoping to turn a tiny investment into a large payday. Higher buy-in satellites are often full of top pros, particularly the expensive steps satellites. If you’ve won a seat to one of the higher buy-in satellites, look at who is registered and if the waters are shark-infested, it may be worth unregistering and trying to win another seat. Satellites to huge online tournaments such as the Sunday majors (the Sunday Million in particular) are again full of recreational players, while those feeding into tournaments such as the Sunday 500 and the $1,050 buy-in Super Tuesday are usually professional players trying to save themselves some money. The weekend satellites have more recreational players in them and often have larger guarantees and more seats awarded. 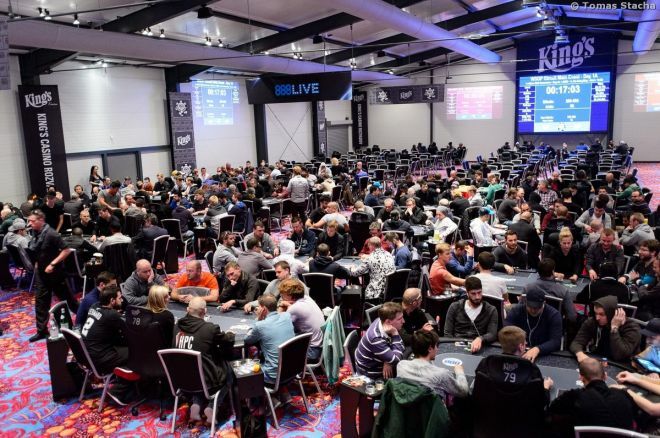 If you want to play for a major live seat such as a £1,000 UKIPT seat or the larger €5,300 European Poker Tour seat, try and enter satellites that run while the events are in progress. For example, try playing some EPT satellites while an actual EPT is in full swing, this way most of the professional players who would usually be in the satellite with you will be in a casino playing in an EPT! Still perform solid bankroll management principles. It is easy to get carried away and play in a satellite that has a much higher buy-in than you can really afford, especially when the satellite may only have a few entrants in it. One last thing, before you play a satellite, make sure that you can unregister from the target tournament if that is what you are planning on doing. Sometimes, poker sites force players to use the first ticket they win and can only unregister from the event if they win more than one seat.